The Dallas Clark Foundation is a nonprofit organization established by Dallas Clark, a native of Livermore, Iowa. One of the initiatives of The Dallas Clark Foundation is to assist students from the Humboldt and Kossuth County area who are pursuing a postsecondary education by awarding college scholarships. 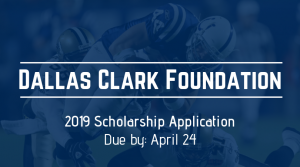 This year, The Dallas Clark Foundation is awarding ten $3,000 scholarships. 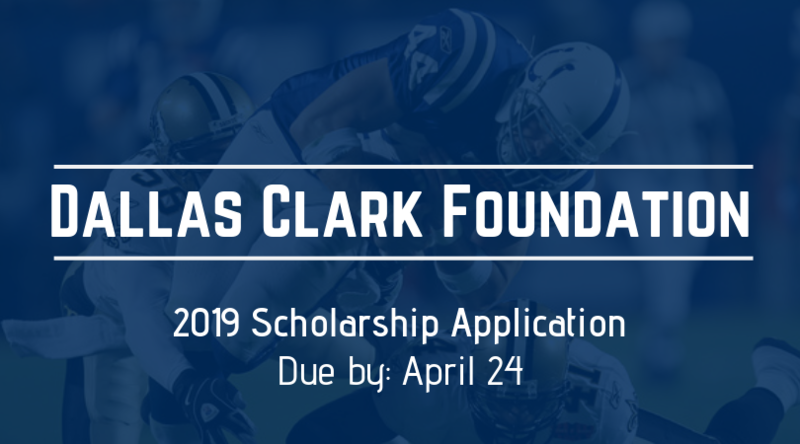 To apply for a 2019 Dallas Clark Foundation Scholarship, please complete this application: DCF Foundation 2019 Scholarship Application and mail it to P.O. Box 44, Livermore, Iowa 50558 on or before April 24, 2019. Typewritten applications are preferred; however, neatly printed applications will be accepted. Upon completion of the application, please place the application and all corresponding materials in a folder with inside pockets and clasps. Everything should be 3-hole punched and placed in the clasps of the folder. All applications become the property of The Dallas Clark Foundation and will not be returned to you. Please prepare an essay of no more than 400 words on each of the following topics. The essays must be typed, signed and dated by the applicant. Identify a person or an activity you have participated in that profoundly influenced you, and describe the effect the person or activity had in helping to build or shape your character. A school official (i.e., teacher, guidance counselor, or school administrator) from the applicant’s school must submit a letter of 500 words or less discussing the applicant’s: (1) personal attributes and character; (2) abilities, talents and interests; and (3) need for financial assistance. The letter must be typed, signed and dated by the school official. Typewritten applications are preferred; however, neatly printed applications will be accepted. Upon completion of the application, please place the application and all corresponding materials in a folder with inside pockets and clasps.